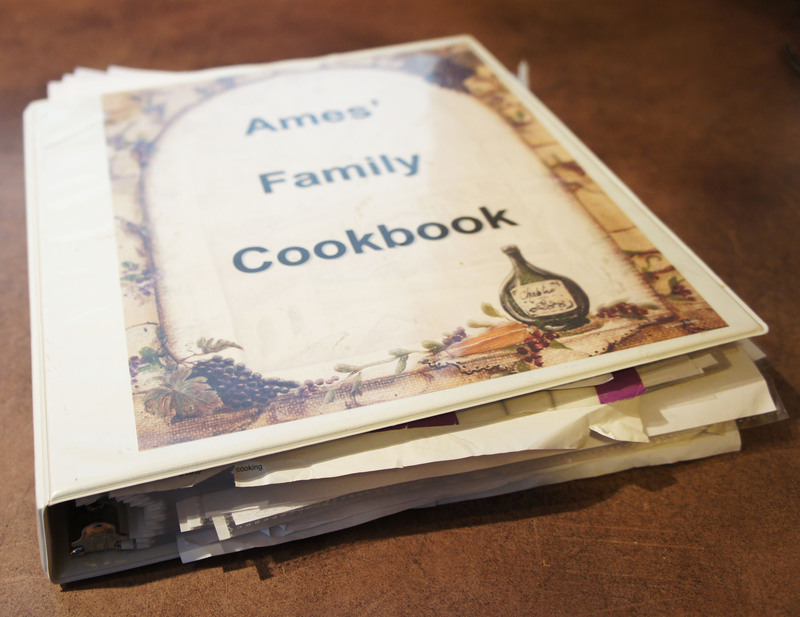 One of the best wedding presents I received was a lovely recipe book my mom compiled of all our favorite family recipes. I know it took a lot of time for her to type up and put together and I am thankful to have all the tried and true recipes I enjoy from my childhood. I have added my own recipes to it over the past couple years, but there are still a lot of the originals I come back to time and time again. Last night I decided to make the sweet chicken that was included in our books. 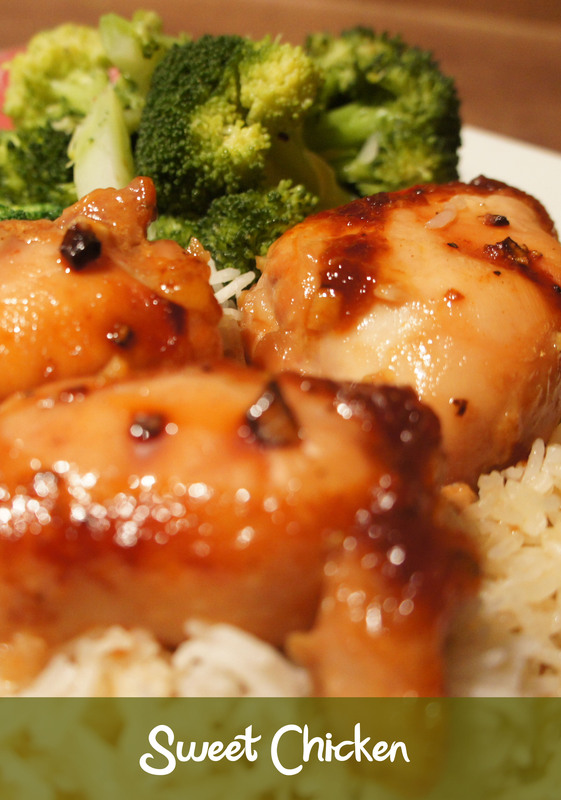 It is a simple recipe that consists of chicken baked in a combination of honey and soya sauce, and proves that sometimes simple is best. 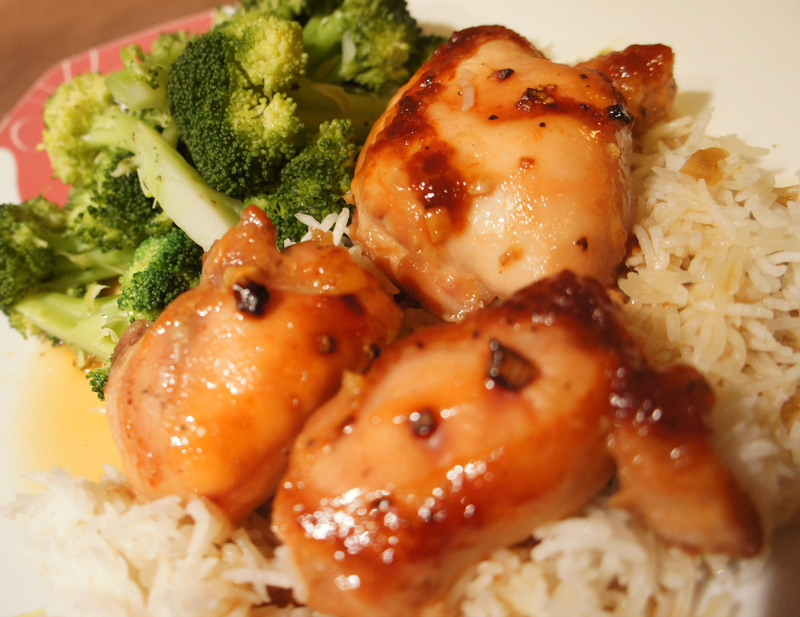 The sauce is a lot like a teriyaki and I enjoy it best served over rice to soak up the extra sauce. With a steamed veggie on the side, it makes for a quick meal that both the adult and child family members of my family enjoy – the dogs seemed pretty pleased with the kids leftovers too! Place chicken in a shallow pan. Whisk together other ingredients to make the sauce. Cook at 375 degrees for 1 hour. Love the pics. Looks great. This is an excellent recipe for your family, as well as for company. Takes so little time, but makes such a great meal. Thanks for sharing, Chantelle!